The issue with mouse pointer lagging or freezing while using Windows is known and while Microsoft has been trying to improve upon it with simultaneous updates, it didn’t help much. The cause could be defects with the mouse hardware, or the USB port, or the software and the system. We would troubleshoot the issue accordingly to isolate every possibility one by one. Some users reported that when they changed the battery, the problem got fixed. Mouse lag is a major problem which are affecting many users in Windows 10 PC while using it for work or Gaming. Here are Fixes for the problem. 3. Choose Mouse from Left Menu. 4. 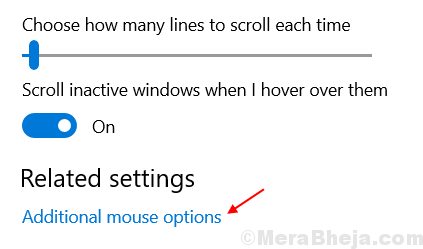 Now, Turn off and again Turn on the option “Scroll Inactive Windows when i Hover Over them“. Do it few times. Your problem will get fixed. If it Doesn’t , Move on to next fix. 5. 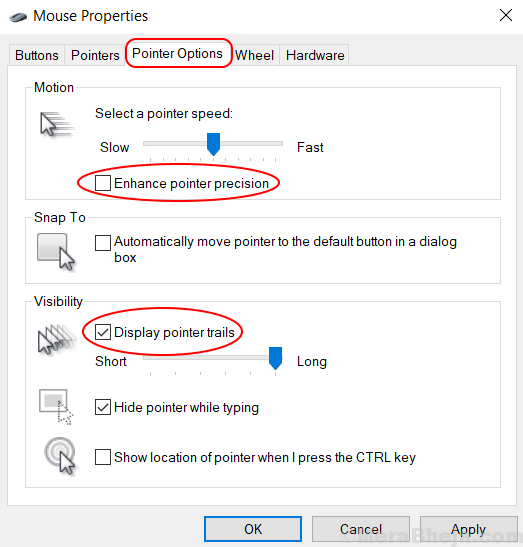 Choose Pointer Options Tab. 7. Check Display Pointer Trails. 8. Choose Ok and Exit. 2. 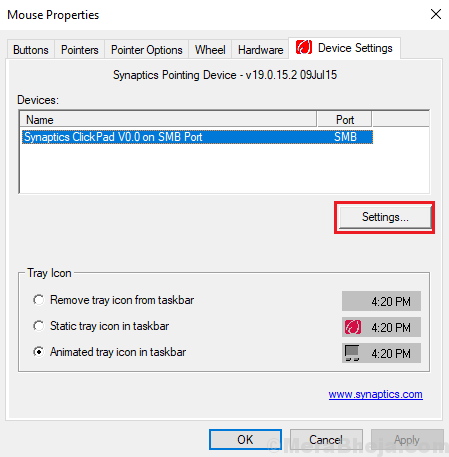 In device manager click and expand Mice and Other Pointing Devices. 3. 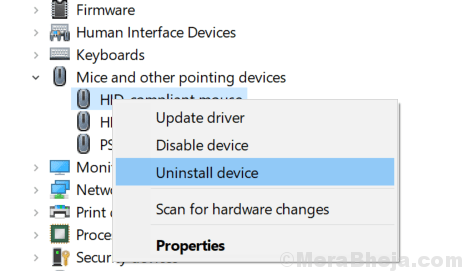 Right click and Uninstall Your Mouse Driver. 4. 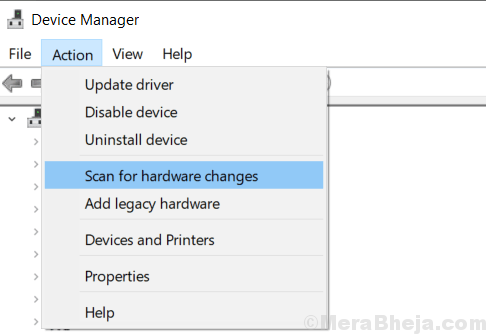 Click on Action and Choose Scan for Hardware Changes. Windows will automatically install best possible drivers. Most users don’t exactly need a mouse pad since that isn’t a requirement for an optical mouse, but it matter if the surface beneath it isn’t plain, or is glossy, or has dust on it. Check the same and make sure the mouse is placed on a dry, clean, opaque, and non-glossy surface. The USB port the mouse is connected to could get loose with time and in such a situation, the pointer would lag or even freeze. To isolate this issue, try connecting the USB mouse to different slots. In case the issue is with the external mouse, we could try replacing it with another one, obviously if available. If the other mouse works fine, we would have to replace the troublesome mouse permanently. 2] Go to Devices and then to the Mouse tab on the left-hand side. 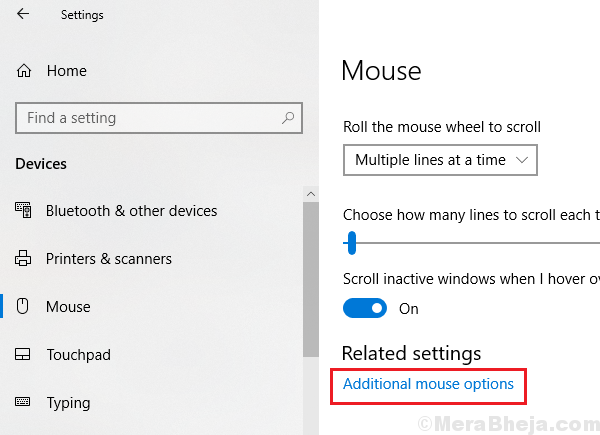 3] Click on Additional mouse options. 4] In the Device settings window, click on Settings. 5] Click on Defaults to restore the settings to Default. 6] Click on Apply and the OK.
At times, an issue with the mouse drivers could cause the problem as well. Here’s the procedure to update drivers. 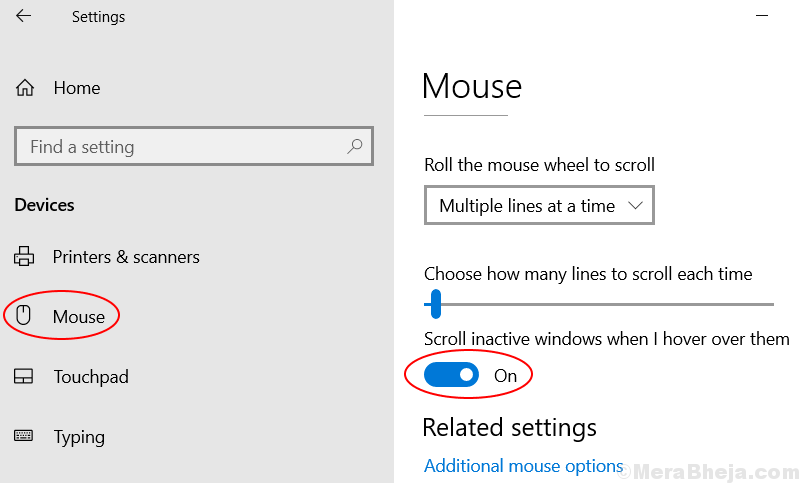 Remember to choose the category Mice and other pointing devices while trying to locate the drivers. 2] Find the Universal serial bus controllers drivers in the list and expand the section. 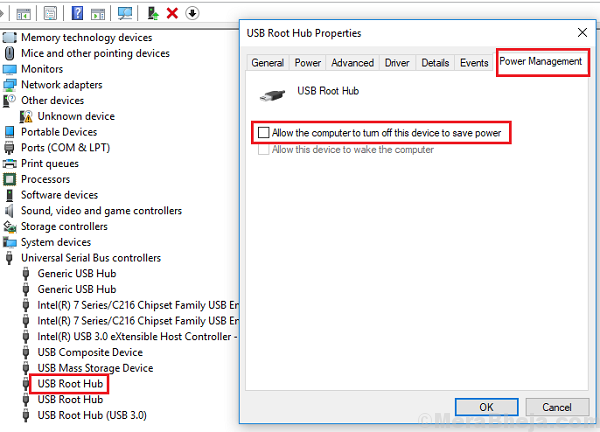 3] In the list, find USB Root Hub and right-click on it. Select Properties. 5] Click on OK to save the settings and restart the system.